A three-day photography exhibition titled ‘Bioscope 3 Children’s Photography Festival 2019’, the largest children’s photography exhibition in Bangladesh, ended at National Art Plaza (gallery-5) of Bangladesh Shilpakala Academy (BSA) in the capital’s Segun Bagicha area on Sunday. Shishur Jonno Foundation organised the photography exhibition. The concluding ceremony was held at BSA at 07:00pm on the day. Ekushey Padak-winning dance exponent Laila Hasan was present on the occasion as chief guest while Harun Habib presided over the programme. 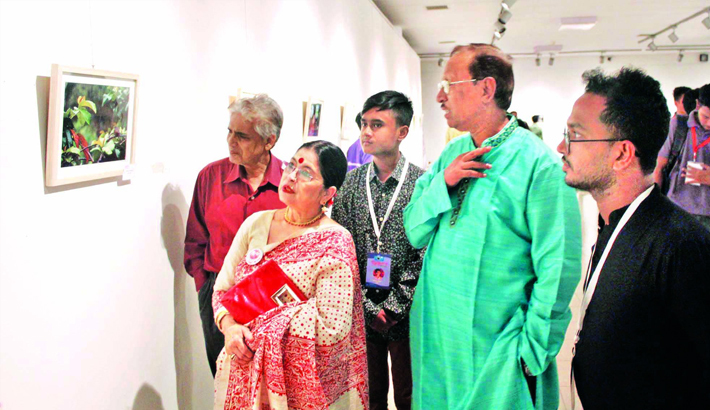 With the slogan ‘Chhotoder Tola Chhotoder Chhobi’, the three-day exhibition began on Friday. Sector Commander Major General (retd) KM Shafiullah Bir Uttam inaugurated the exhibition as chief guest, while eminent photographer Nasir Ali Mamun and freedom fighter Bakhtiar Uddin Chowdhury were present, among others. At the exhibition, 54 selected photographs of child photographers have been displayed. Besides, photographs of Bangabandhu with the titled ‘Shishuder Bangabandhu’ also displayed at the exhibition.